The tomato wine is now in the fermenting stage. I’m beginning to wonder how long I’ll have to wait to get my kitchen counter back. 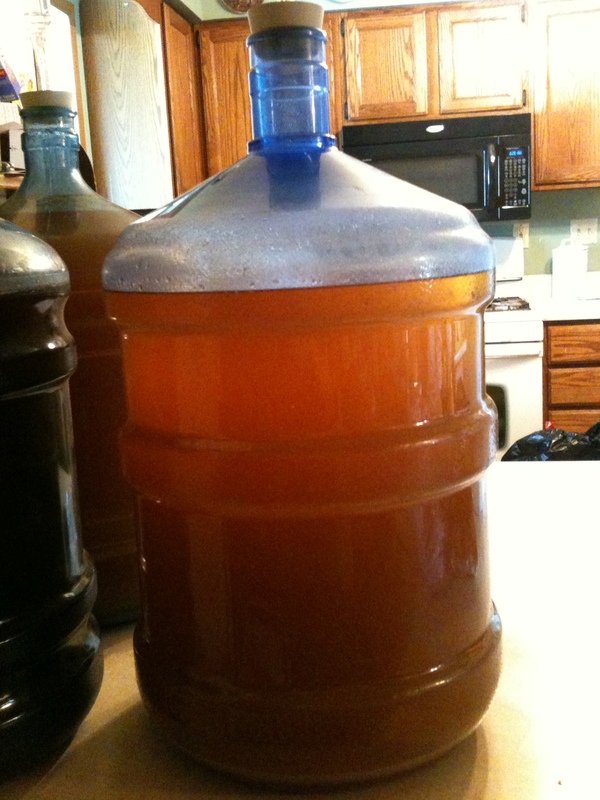 Right now I have a 5 gallon carboy of Peach wine (okay, I approve of this one. It’s like liquid peaches) and I’m on the fence with the blueberry wine. (It’s gorgeous to look at but I haven’t tasted it yet. If it tastes like wine, I’ll cook with it but if it tastes like blueberries, I’m in trouble) and now the 5 gallons of tomato wine. I admit that I’m curious about the tomato wine. And I’ve tasted it. In my opinion it’s better than concord grape wine. But the idea of tomatoes becoming wine boggles my mind. For a long time, I’ve had Josh’s art studio at the top of my want list. It’s still #1 on the list but I’m adding a second kitchen to the list. I think my husband needs his own space and when I think about what his kitchen would look like I’m awestruck. It could be so cool.